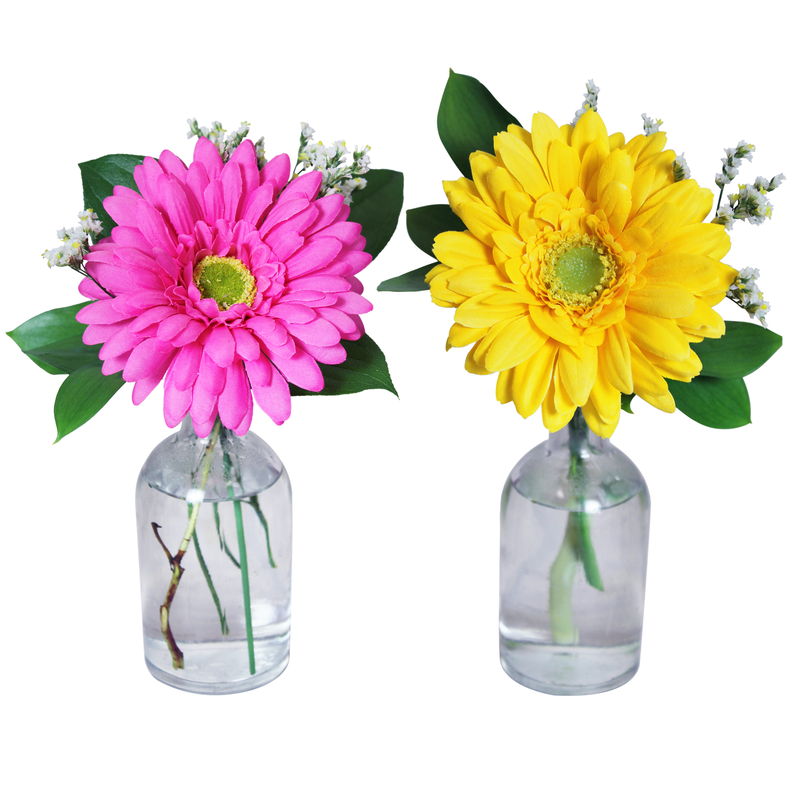 These bright and blooming gerbera daisies are presented in a simple bud vase for your well deserving recipients. The perfect arrangements for desk displays. Show them how much you appreciate them with this vibrant and fun arrangement!